Here’s something kinda cool. 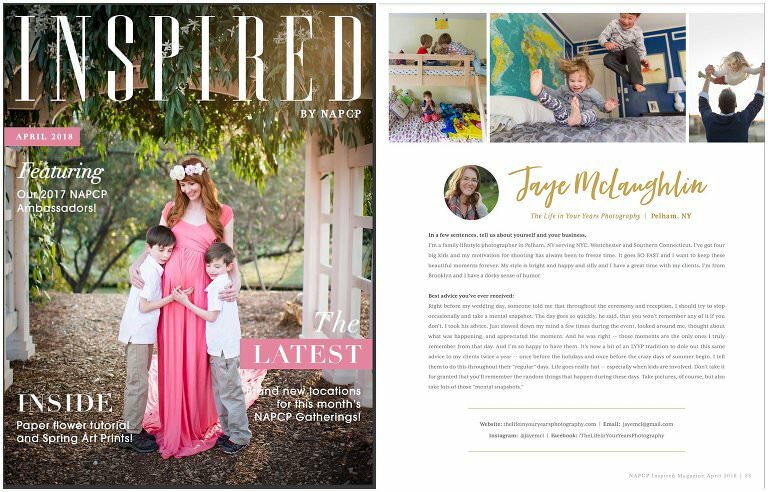 This month in the April edition of Inspired Magazine, NAPCP featured its 2017 Ambassadors, including ME! NAPCP (the National Association of Professional Child Photographers) has been a great source for me for networking, learning, and challenging myself through participation in their International Image Competitions. I’ve loved being involved as an Ambassador for their NAPCP gatherings, at which REAL Life connections are made and maintained. As a matter of fact, I’m hosting one right here in Pelham today! If you’re a professional photographer here in NYC or Westchester County (or somewhere else, willing to drive or commute on this ugly rainy day), drop me a line for the deets! Seeing my name in print (with such a pretty font, even ;)), never gets old.